The Martin OM 1 is a beautiful six-string model with a solid Sitka Spruce top with tortoiseshell pick-guard, multi-ring rosette, and Sapele wood back and sides. One of the most coveted features of Sapele wood is the interlocked appearance of its grain and the tendency for the grain to change directions at irregular intervals. The result is astounding beauty that harbors the strength and durability of hard woods like Mahogany but with a different appearance and an astounding ability to enhance mid-range and treble tones. The fingerboard and bridge are comprised of East Indian Rosewood and the saddle is compensated, a feature that seems to be utilized more and more every day in acoustic guitars. 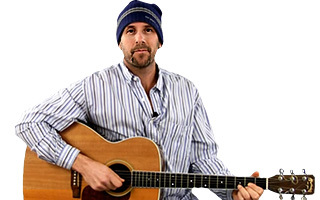 The body of the Martin OM1 has the same body specifications as their 000 series and measures 19 and 3/8" in length by 15" in width (at its widest point). The depth of the guitar body is 4 and 1/8" and the neck measures 1 and 3/4" at the nut. 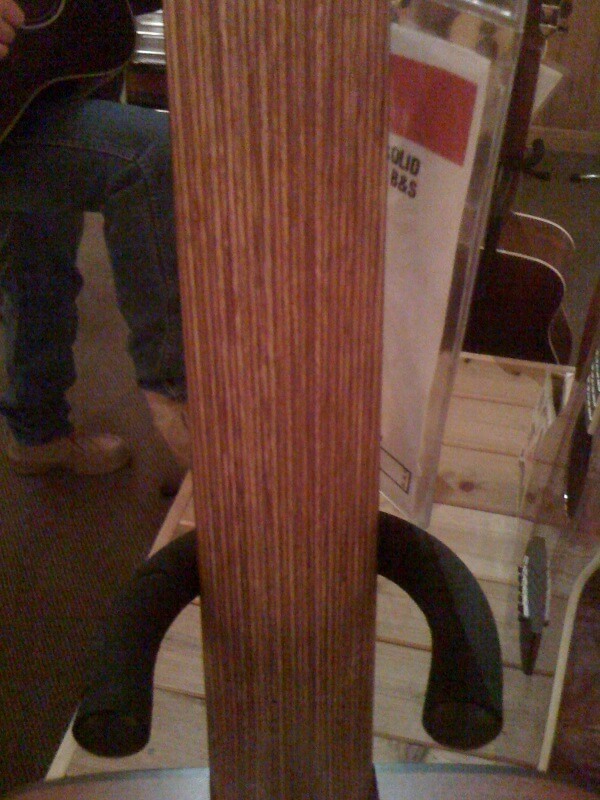 The neck is composed of 31 layer rust Stratabond, a product long endeared by gun manufacturers but recently discovered as a cost-effective substitute for hard woods, especially Mahogany, in guitar construction. The Rosewood fingerboard has 20 frets, 14 of which are readily accessible and the body of the guitar is adorned in an exquisite Satin finish. 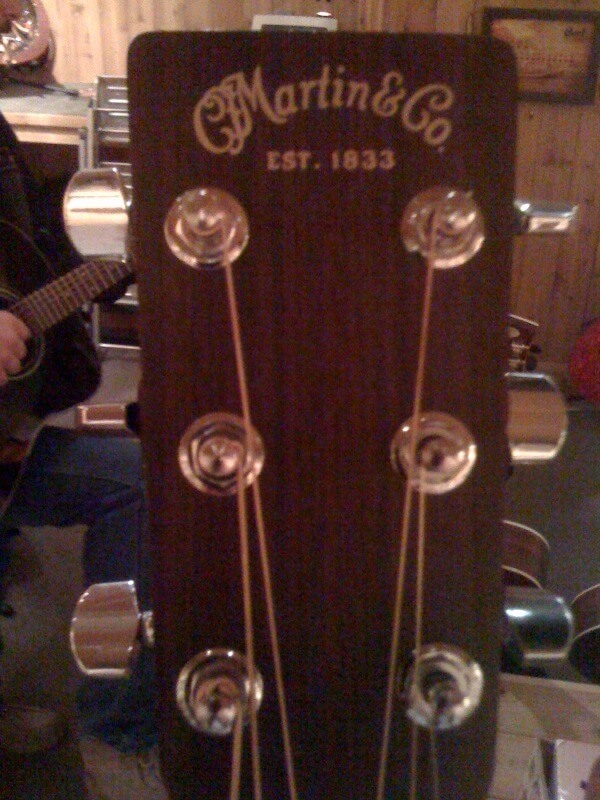 Martin takes great care in the finishing process of each and every one of their guitars as this most integral and important step in guitar construction can make or break the guitar in terms of sound and longevity. The Martin OM1 is currently available from around $899 to $1199 and can be acquired through either on-line vendors or locally. Martin doesn't sell directly to the public but their wares can be found in many music stores and this accessibility can be helpful especially if you want to play a guitar before you buy it. The price of the OM is reasonable especially in lieu of the high quality of materials employed in the construction process, but also in consideration of Martin's long-standing reputation for impeccable standards. 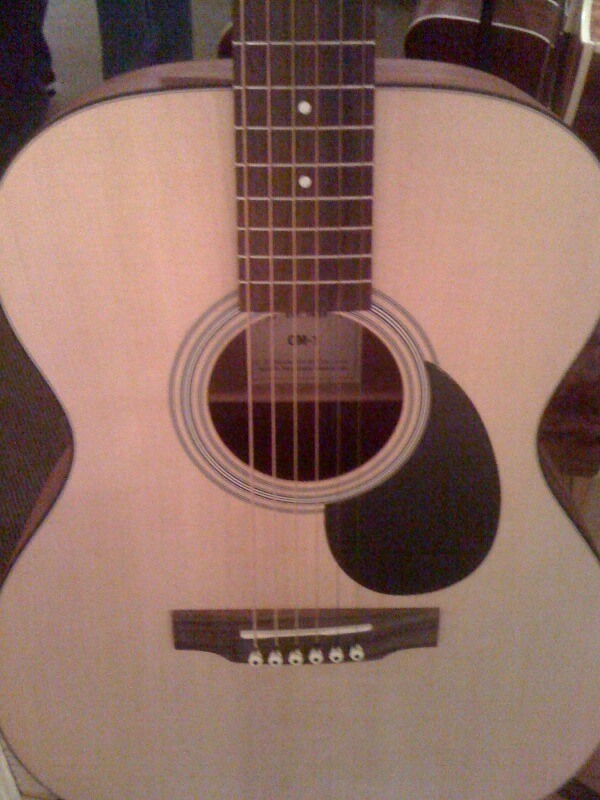 There is no doubt that when you first pick this guitar up, you know it's a Martin. It has a fantastic balanced feel to it and facilitates easy and comfortable play. The OM 1 generates warm tones in the treble region but is a little light in the mid and bass. This combination may be exactly what some players are looking for though and may help certain individuals who look to "pocket" their vocals with a guitar that compliments their range. The OM 1 is also coveted by musicians who are more geared towards finger-style and finger picking types of play as the body is smaller than the dreadnought body and easier to handle. On the down side, the smaller body tends to produce less sound and this may be a deterrent to some players. But nevertheless, despite the smaller body and increment decrease in resonation the guitar still looks feels and plays like a Martin.